Some time ago, I was preaching for a church in another city. After service, the host pastor invited several preachers to join us for fellowship at a nearby eatery. One of the pastors was a former seminary classmate of mine. I had preached for him and he, in turn, preached for me at my former church. I was amazed at how he had been able to grow his church and also quite impressed by the caliber of guest preachers he had invited through the years. One of those preachers I really admired greatly, and I had wondered if I could potentially have him to share with my fledgling congregation. He was in high demand as a speaker and preacher, and a successful pastor in his own right. I was amazed that my former classmate had been able to secure this nationally acclaimed preacher, year after year. He expressed to me that he simply picked up the phone, placed a call, invited this nationally recognized preacher, and he showed up. The conversation took an abrupt turn, however. My former classmate became irate, and began to scold this particular preacher. In essence, he expressed to me his disappointment that he had invited this prominent preacher for years, treated him well, exhausting every resource, year after year; but this prominent preacher had never invited him to come and preach for him, as well. Of course, I asked my former classmate if he felt it a cardinal rule to invite a preacher to his congregation when they’ve invited him. His answer was a clear and emphatic”Yes!” I respectfully disagreed; but he stood firm on his conviction. He, then, affirmed that he would never invite that prominent preacher back to his church again; and that he would move on to another preacher the following year. As I have checked, he has held to that promise. For years I’ve been fascinated with several views any given preacher will have regarding preaching and invitations to preach elsewhere. I wish to share a few of them here; with hopes it will either help some young preacher, or for someone to enlighten me on another perspective. Please note: these are just MY own views; and what I’ve gained through observations in ministry through the years from observing others like my father, pastor or mentors from near and afar. Take note: these are not rules…simply helpful hints that I think are often unspoken. 1. Never Ask Someone To Let You Preach. Proverbs 25:7 says, “…it is better to be told, “Come up here,” than to be put lower in the presence of a noble.” If I can apply this truth to preaching, it is all the same. This is not an issue of vanity as much as it is a matter of respect. 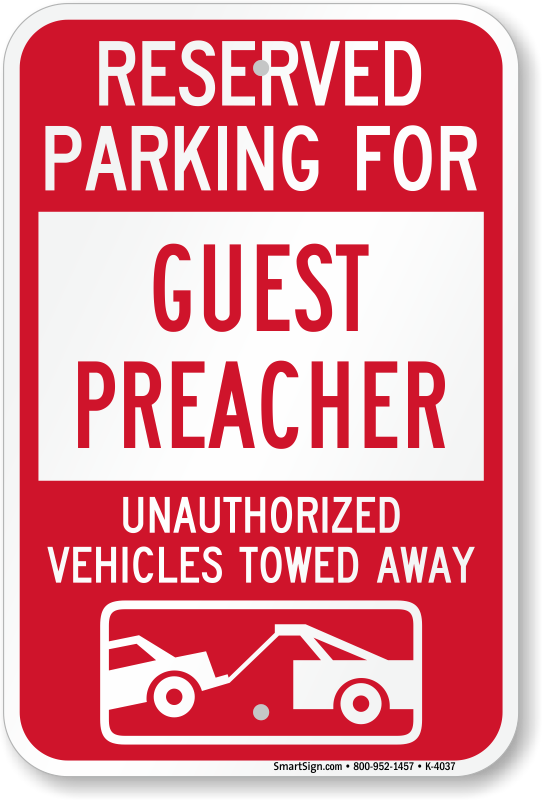 Many pastors love people; and it places an extra burden upon them when feeling they have to find a spot to put you in for preaching. Let him ask you! My wife grew up in Holman Street Baptist Church. I came across an old tape of hers where the late E. V. Hill was preaching there. In his sermon he said that he had called Pastor Manson Johnson and said he would like to come and preach. This shocked me… But then I remembered who it was: Dr. E. V. HILL!!! It is certainly not my intent to belittle anyone in ministry, but many of us have not yet reached the platform of the late E. V. Hill. It is best to allow our gift(s) to make room for us. Conversely, I get it. We want to preach! There are some places I’d love to stand and share God’s Word. But I would suggest that one resist the urge to go so far as asking others to preach. Our eagerness can come across as desperation. Just because you’ve been kind enough to extend an invitation to someone else, doesn’t necessarily mean that a person is being unkind if they don’t invite you to them. It doesn’t necessarily mean that you are less than able, can’t preach, didn’t treat them well, etcetera. I have friends with whom I’ve preached for whom I’ve not been able to have my way. There are always several factors. But never allow your reason for inviting someone to be an expectation of them inviting you. Never feel the pressure to invite someone just because you’ve been invited by them. This is an unecessary and unfair weight to have anyone carry. In a real sense, it is not fair to them; and it is not fair to you. It is best to follow the Holy Spirit regarding who He would have to share with your people, treat that person beyond fair if humanly possible, and pray for them as they go. That’s all. 3. Don’t tell a Preacher You Will have him preach for you, knowing you don’t plan to. Admittedly, this was a problem for me when I began pastoring in my late 20’s a few years ago. Here’s what I’ve discovered. Many preachers take you literally. AND, they thought they heard you say next Sunday!!! I’ve told preachers “Man, I hope to invite you ONE DAY.” What they heard, “Doctor, I need you next month!” Don’t be like me. I’ve had to learn the hard way. If you have to bite your tongue, bite it off! Well, not really. But what you do not want to do is be that preacher who has 20 preachers saying you will call them and you only have 5 opportunities that need to be filled throughout any given year, and 2 of those are going to your associate ministers. This spells a problem. In summary, please know, I am in no way one of the aforementioned prominent preachers. Our lack of prominence makes us no less important to God, or our calling ineffectual. There are some who just have greater numbers and more notoriety. I simply consider myself a student of those who do it well and a fellow-traveler in ministry with those who are trying to get it right. Further, I am becoming more disturbed by the blatant wickedness & incessant debauchery I see in the world; and believe we as proclaimers of God’s eternal truths must strive to be sharper, wiser and more united than ever before. This spells, colors and fuels my ultimate intent: to be helpful as a preaching pupil & ministerial nomad. May this not only help us all; but also spark a healthy and wholesome dialogue. Please let me know your thoughts. And if you disagree with what I’ve shared here, I welcome your thoughts and comments. We are in this together!